Hi It’s Annette again! I’m so happy to be here and share with you a fun new free printable to keep you sane in the summer time. 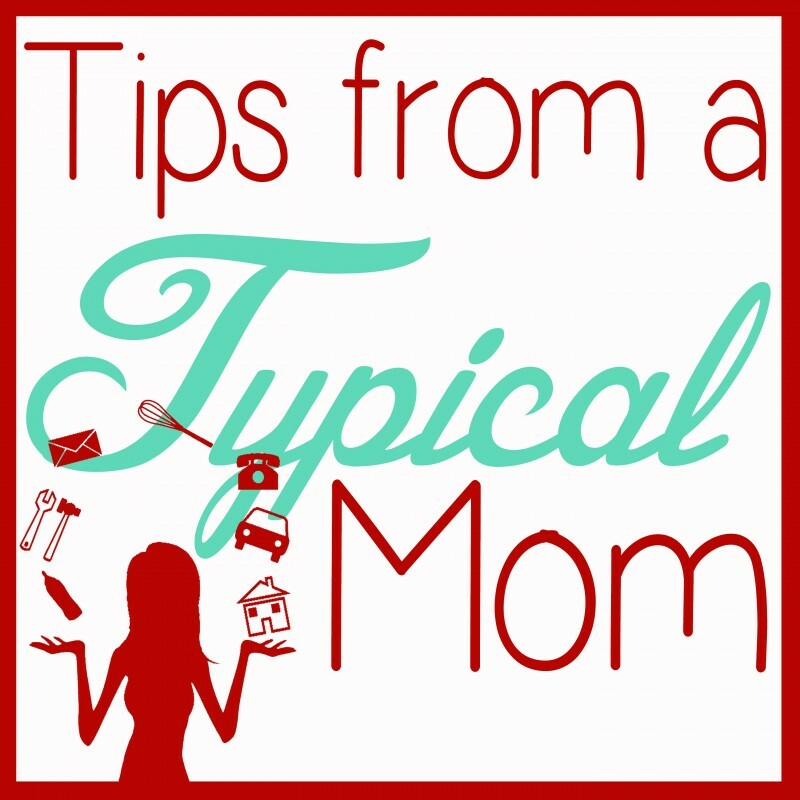 Be sure to check out my blog, Tips From a Typical Mom, and follow me on social media. Links are at the bottom of this post. I have the sneaking suspicion that if you have kids, you have the same problem I do during the summer months. 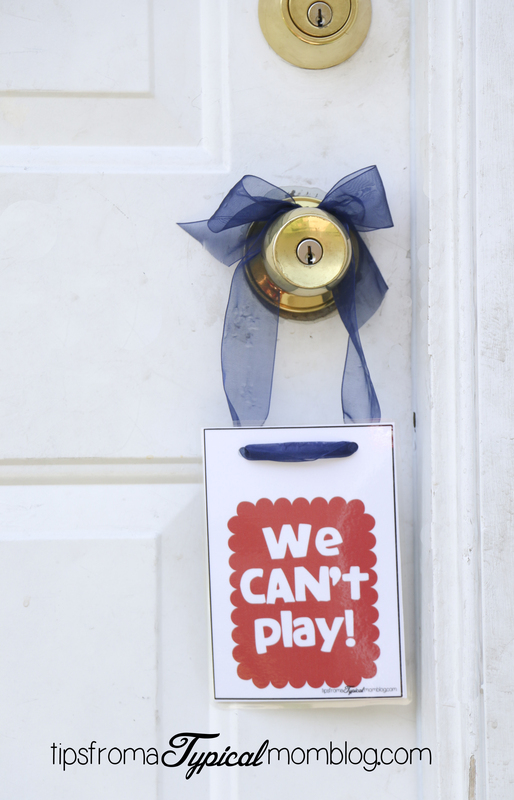 Kids knocking at the door non stop to see if your kids can play. There is nothing wrong with that! 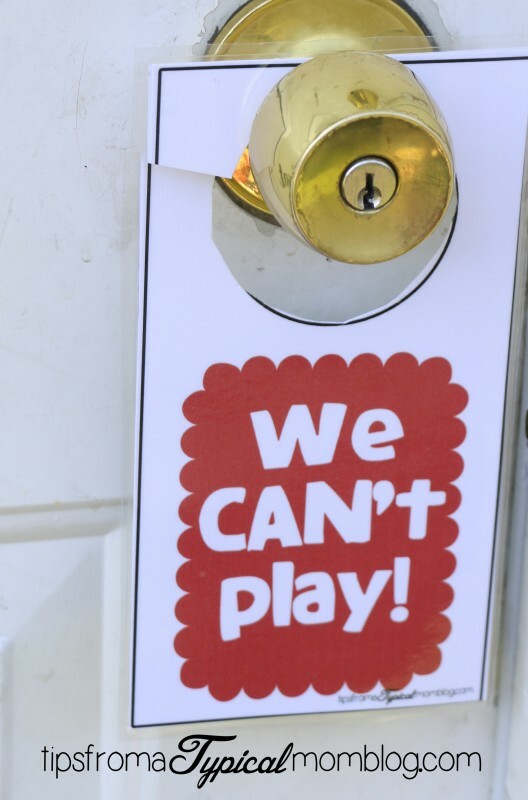 I absolutely love the fact that my kids have so many friends that live so close, but sometimes, my kids can’t play and it gets a little annoying to answer the door every 5 minutes. 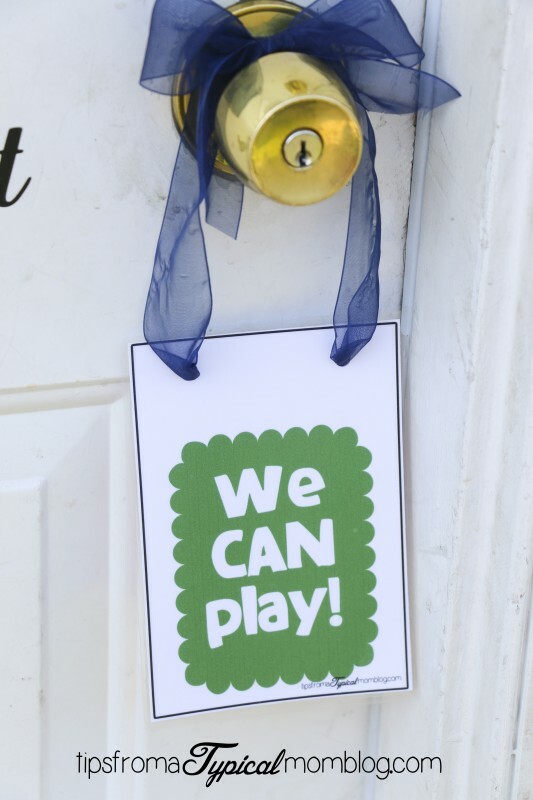 That’s why I created these little door hangers so friends know if it’s OK to knock and ask to play. And what’s even better, it’s a free printable for you to use too! There are two different versions. One to hang with ribbon if you want to be fancy schmancy, or a traditional hole in the card to hang on the knob. 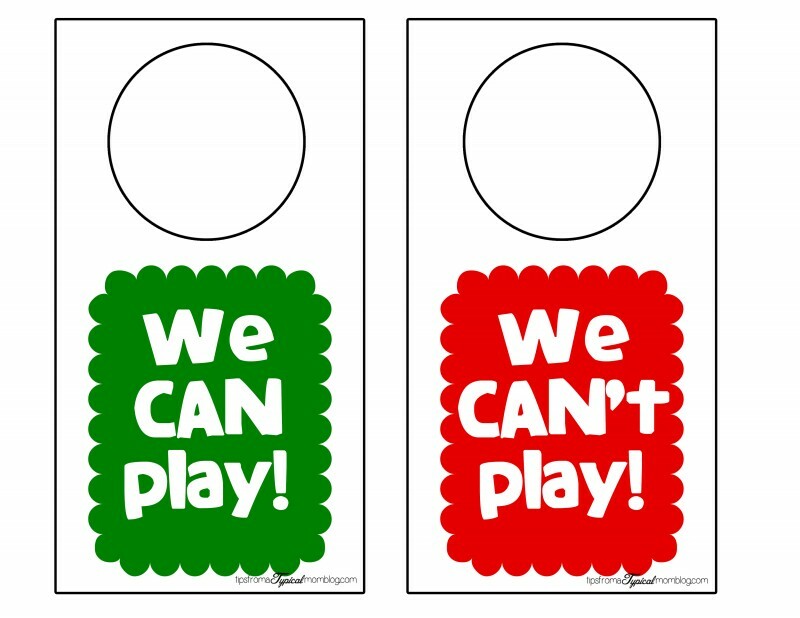 One side says “We can play” and it’s green so the younger kids understand they can “go”. 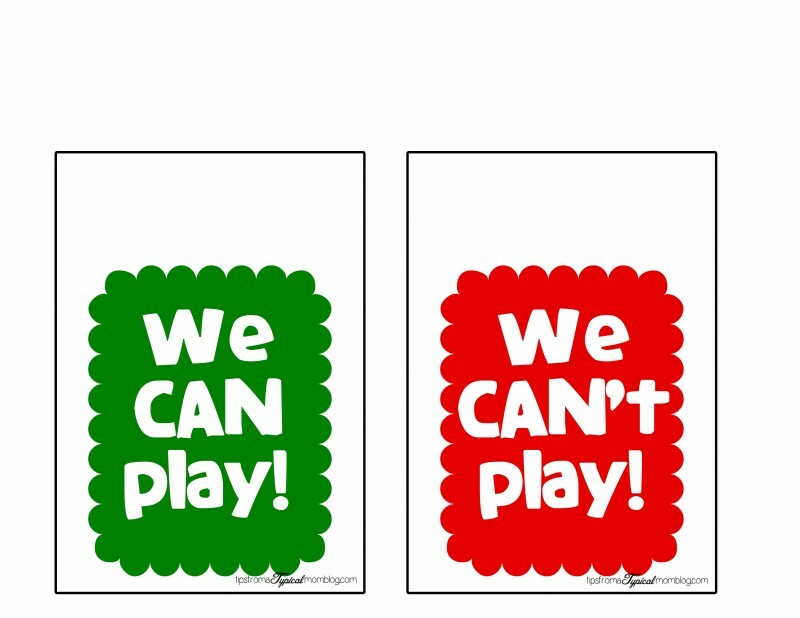 And the other side says “We can’t play” and it’s red so they know to stop. I just cut out the signs, put them back to back, and laminated them. Then I punched a hole in the ribbon one and slid through a ribbon and tied a bow. On this version I just cut the signs out, put them back to back and laminated them. Then I cut a slit to the circle on the side and cut the circle out. I like this one better, it doesn’t get played with as often as the one with the bow. I hope you enjoy these! 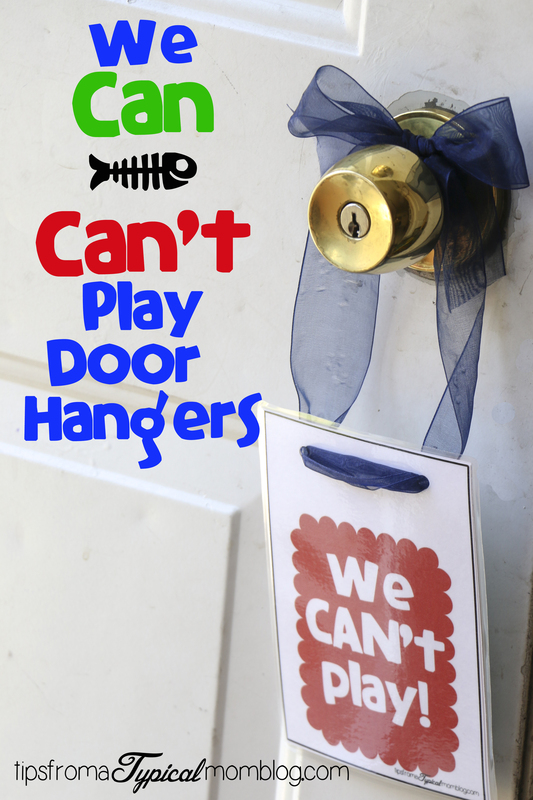 They are a lifesaver in the summer and after school when your kids are doing chores or homework. Then they don’t get distracted by the door bell either!